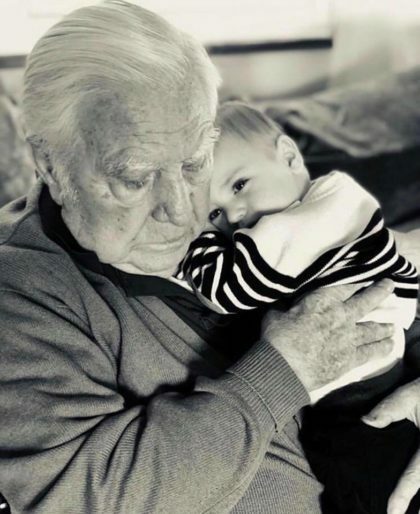 Holocaust survivor Simcha Horowitz holding his great-grandson Azi Rifkin. Simcha survived Auschwitz and became one of the founders of the Israeli Air Force. PREVIOUS POST Previous post: Our guardians, thanks for keeping us safe! NEXT POST Next post: Michel Bacos.